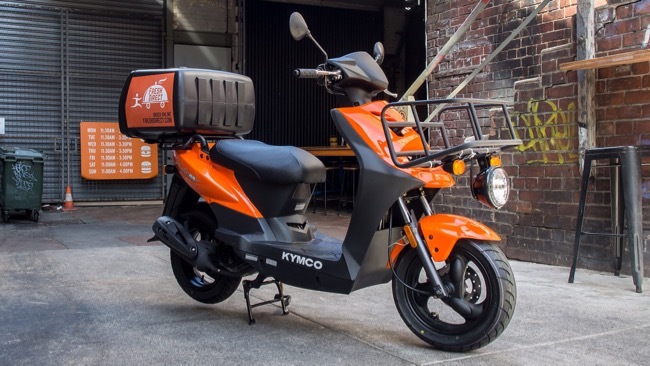 Kymco Australia welcomes the new Kymco Agility Carry, a purpose built delivery scooter designed to transform the way we deliver. 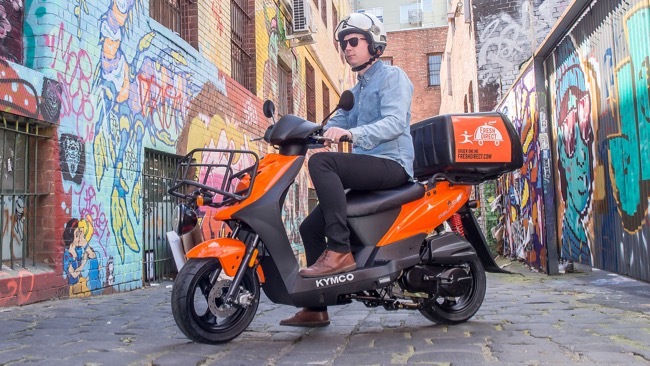 The delivery service industry is a rapidly growing movement in Australia with innovative start-ups, cottage industries and funky new delivery systems revolutionising the micro transport industry. 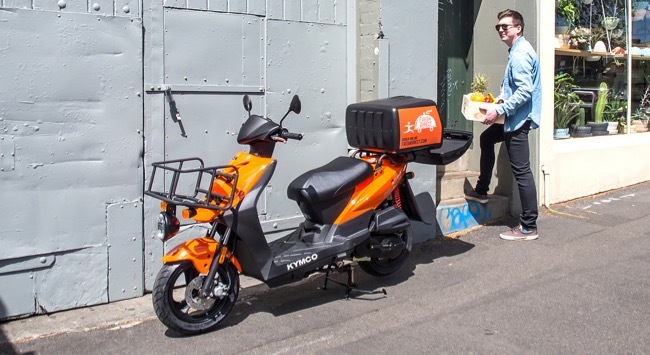 Delivery services are branching out to much, much more then your local pizza shop. Competitively priced, functional carry racks front and rear, economical to run and maintain. 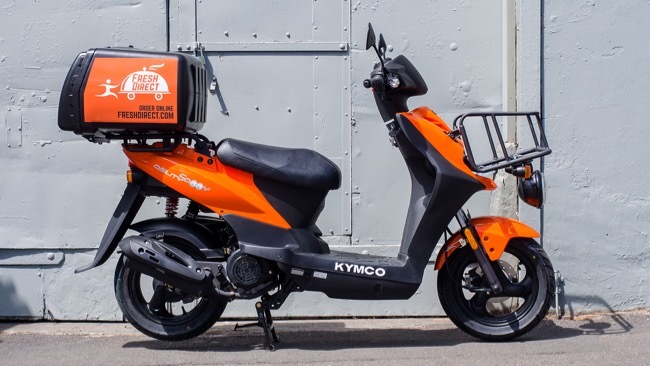 “The Agility Carry is the perfect delivery scooter for those who need an efficient, affordable and versatile transport solution,” said Mr Poynton. 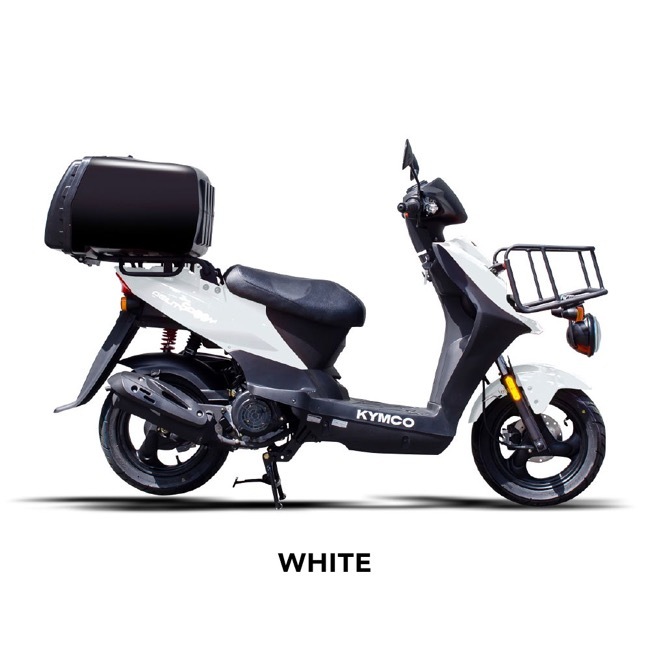 Load limits are 15kg on the front and 30kg on the rear, the rear carrier also can be set up with an optional 85 litre box with large rearward opening lid. Under seat storage is also a handy addition that a number of competitors miss out on. Powered by a proven air-cooled four-stroke 125cc single cylinder engine that is efficient and economical to run with low service costs. Twist-and-go variable automatic drive makes ease of daily operation, especially in the hustle and bustle of the inner city. 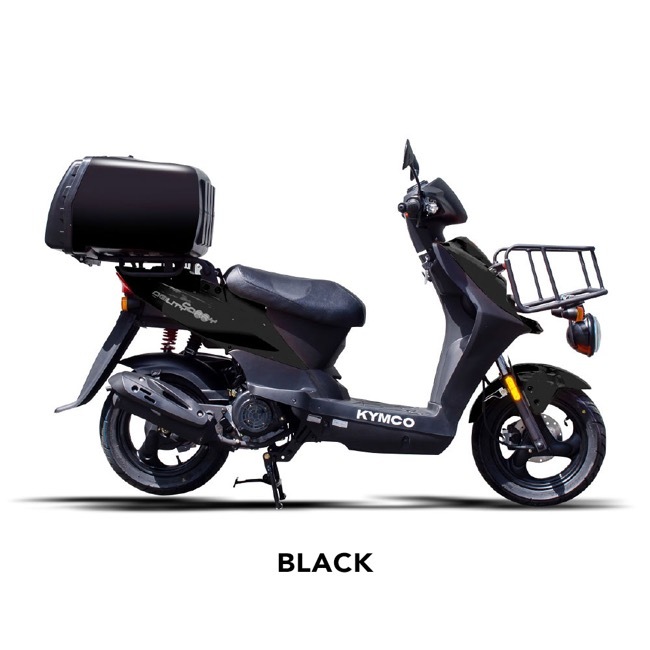 Large 180mm disc brake up front and sturdy suspension give the bike great stopping power, comfort and light handling in-between deliveries. The Agility Carry is an impressive blend of modern craftsmanship matched with practical transport solutions, far superior to any rival delivery scooter. From only $3390 ride away the Agility Carry is an extremely affordable transport solution.